Everyone will love this huge version of the classic strategy ring-dropping game. Sure to be an instant hit - indoors or out. Great for two players, and fun for team-based championship matches. Design features a built-in stand that holds rings within easy reach. Disassemble it for convenient storage. Everyone will love the largest version of the classic strategy ring-dropping game that we have ever offered! 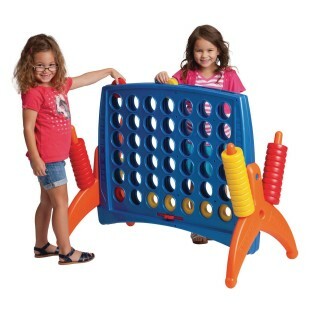 Sure to be an instant hit - indoors or out! While great for just two players, the Super 4 in a Line is also fun for team-based championship matches. The design features a built-in stand that holds rings within easy reach. Disassemble it for convenient storage. Made from from washable, weather- and fade-resistant materials, so it will last for years. For 2 or more players, ages 3 and up. Assembles to approximately 46" x 24" x 34". This is a great game that kids of all ages can get into. It's durable and best of all larger than life. this was a great purchase for special events. We take the game when we set up a booth at events and add it to our own events. 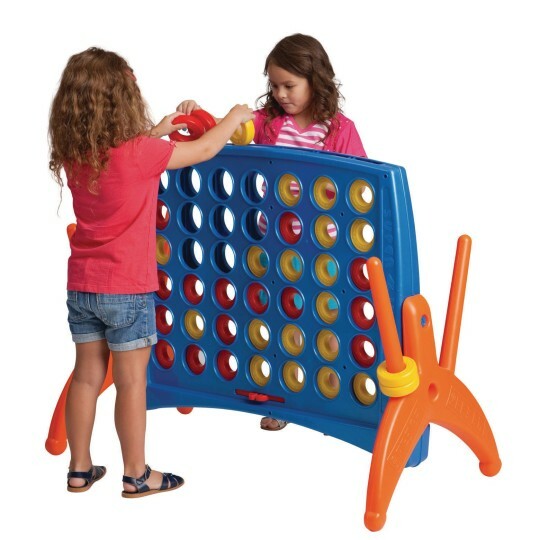 The little kids can just play with it and the older kids including adults play a more serious game. Games don't take very long either. 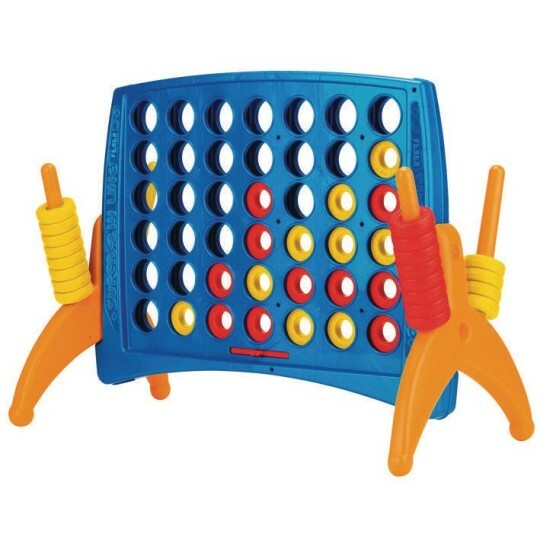 Excellent Game for Kids of All Ages! We use it for our summer camp youth programs brain game clinic and concerts in the park for residents. Our camp kids love this!!! So much fun!!! !